Going to see Matilda The Musical UK Tour At The Palace Theatre in Manchester felt like one of those dead certs. You arrive at the theatre knowing you are going to love it. 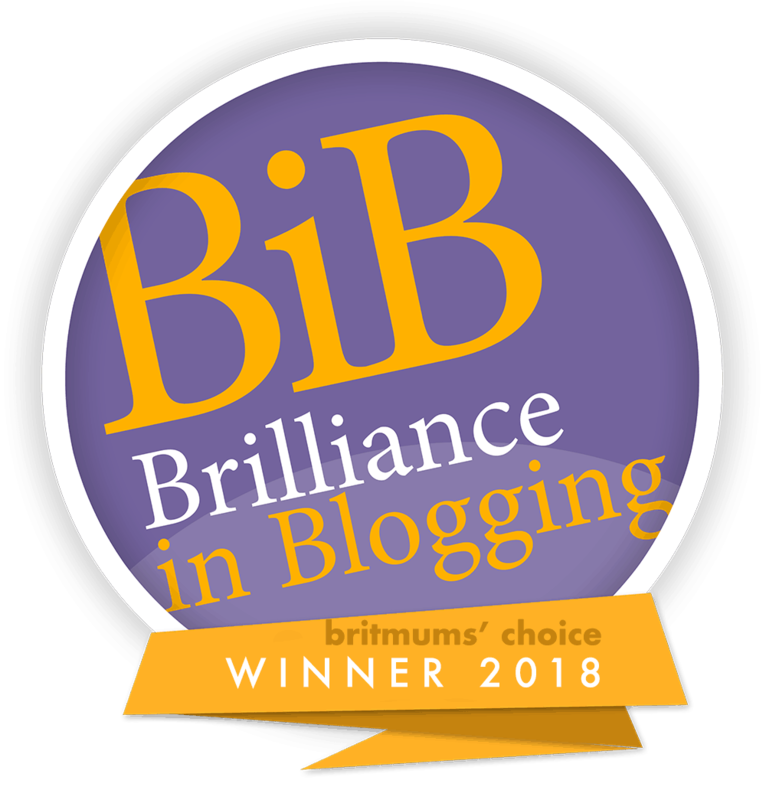 Matilda the Movie is a favourite of families all over the world. How can you not adore the story of an unloved child that uses her intelligence and magic to overcome evil? It has everything to provide the recipe of a firm favourite. 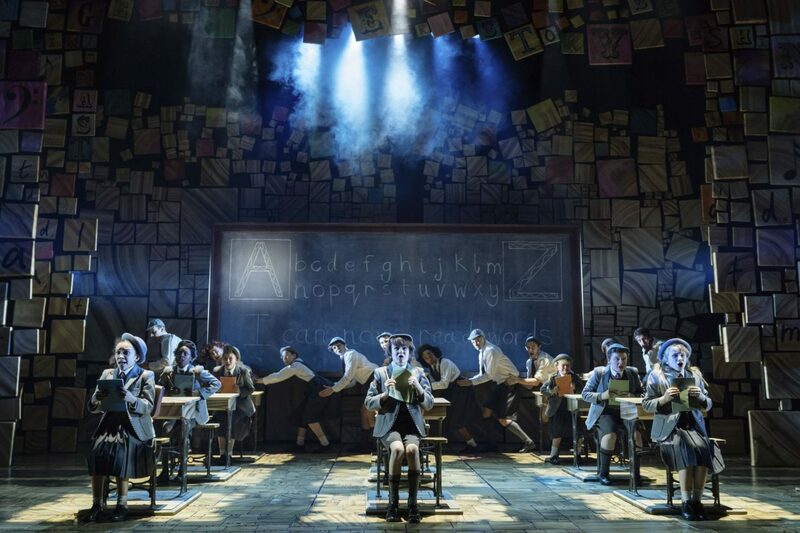 Matilda the Musical from the Royal Shakespeare Company, inspired by the beloved book by Roald Dahl is world-renowned. Had I been a betting women the odds of me loving this were more than favourable. There are some shows you just know you are going to love aren’t there? I arrived at the Palace Theatre feeling confident and the atmosphere dictated that was the general feeling of the audience. Excited expectation. And you know what? Matilda The Musical did not disappoint at all in fact it over delivered. It was beautifully transformed. Quite understated in parts, which I never expected at all. Which also added to the magnitude of the story. The danger with a show aimed at children and full of children, is that it can result in saccharine version of the tale. But no, Matilda had the right amount of cuteness, which did not overpower the story. But also had a good serving of tongue in cheek moments. The children in the cast were incredible, not using their cute factor or voices to win your heart (which were fantastic) but wooed you their acting skills, which were astounding. These kids are super talented and had the ability to draw you in a keep you there right till the very end. “Sophie Ally’s” Matilda was perfect. She played the part in an almost deadpan way, with hardly an ounce of cuteness, which made her seem cuter. Instead she used her amazing acting skills to make you feel the character and the emptiness of her heart. Yet it was touching how she still protected her vile family to the world. I looked forward to the library scenes when she told the story of The Escapologist in such a theatrical way. We all love a villain and “Craig Els” Miss Trunchbull was truly amazing, the perfect villain you love to hate, but also hate to love. Miss Trunchbull had the audience laughing out loud with her antics. Which took the potentially dark element away from the show. I don’t think a villain has ever made me smile so much. Matilda is the ultimate story of overcoming bullies, standing up and being your true self. Showing that believing in a child, demonstrating love and compassion are the most powerful gifts you can give them. 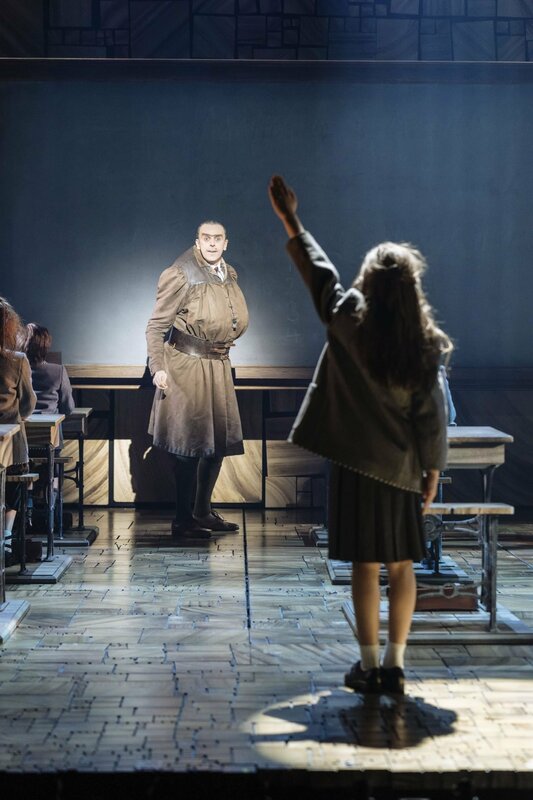 And that bully’s never win in the end; because lets face it there are a few Miss Trunchbull’s in the world! And heartbreakingly there are also many real Matilda’s out there. But thankfully the world also has its fair share of Miss Honey’s. “Carly Thoms” played her vulnerability beautifully, I adored the change in the story (You will have to watch it to see) and the way Matilda and Miss Honey were connected was beautiful but heartbreaking. Together they find acceptance and strength to stand up to bullies. The whole cast was exceptional; behind that super talented mini squad stood a cast of adults that played their parts magnificently. The score is stunning, and as I listen to it today as I am tapping away at the keyboard the beauty of the music stands alone, I already know I will listen to it again and again. Although much more simple than I imagined it would be, the set was simply beautiful. It felt magical and warm and everything you hope it will be for such an acclaimed show. My only regret is that I did not force Joe to go with me; at 12 he felt he was too old. But you are never to old or cool for Matilda, it’s filled with life lessons and talent that everyone should get to enjoy. 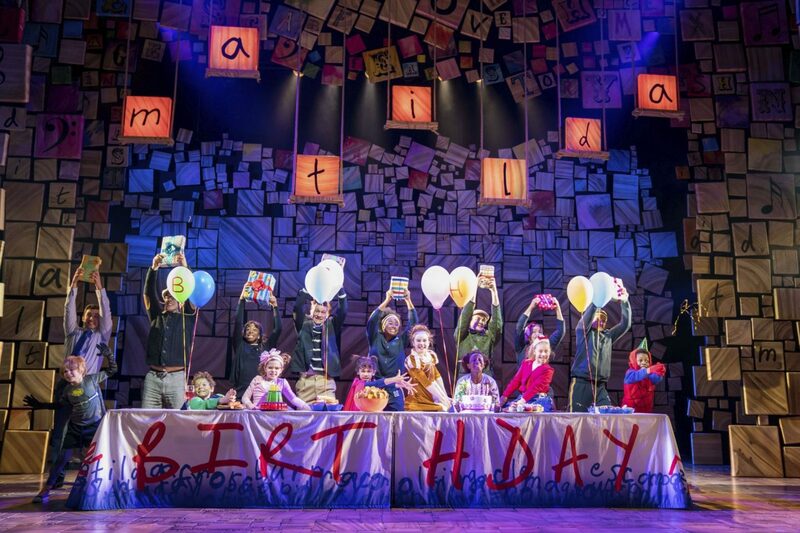 In short The Matilda Uk Tour is wonderful, it has you holding your breath, close to tears and laughing out loud. If you are going to see a show this autumn make it this one. 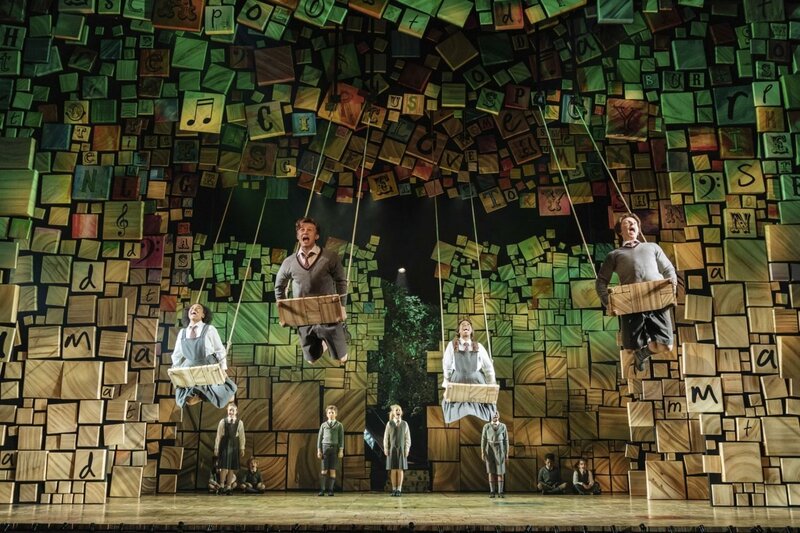 Matilda is running at the Palace Theatre in Manchester until 24th November and it’s not to be missed. I have seen this advertised and it looks like such an amazing show….